ELS/St. Louis is newly located on the beautiful campus of the University of Missouri-St. Louis (UMSL), just 6.4 kilometers from the airport. St. Louis is a friendly Midwestern city of 2.5 million people with a low cost of living. St. Louis is well known for its world-class sports teams, the Gateway Arch, Anheuser Busch Brewery, various jazz nightclubs, and other cultural attractions. 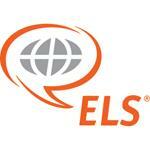 More than 550 U.S. universities, colleges and career schools (including Maryville University) recognize completion of the ELS Intensive English program as satisfaction of their English language admissions requirement, in place of the TOEFL or other exam. The ELS Language Centers University Placement Service can also help students secure placement in a U.S. university, college or career school before they leave home. The center also provides college placement assistance to currently enrolled students. Maryville University offers generous tuition discounts and credit for ELS completion to students who matriculate into their degree programs. Internship Experiences at local businesses may also be arranged after arrival. Internship Experiences require at least 2 sessions of the Intensive English program and ELS level 109 completion. Students conditionally admitted into Maryville University may study in courses concurrently (for credit) with ELS/St. Louis studies, if in level 109 or above.